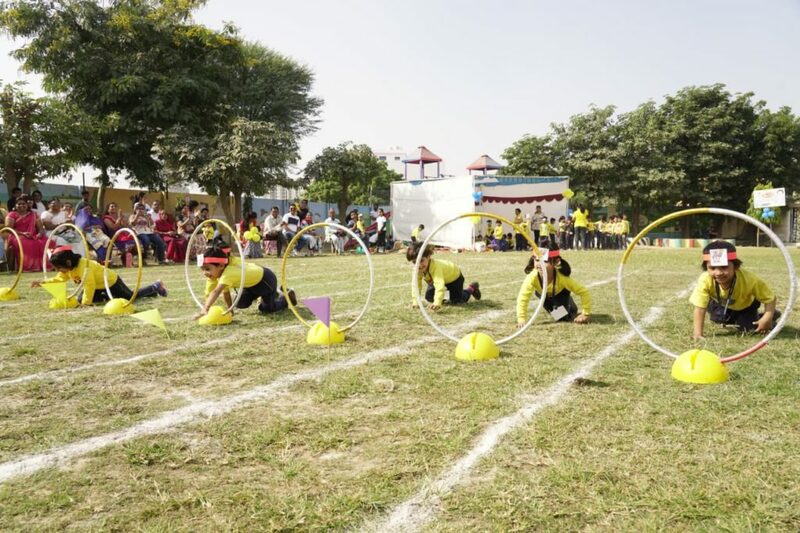 Podar jumbo Kids’ held its annual sports Meet on 1st December 2018. 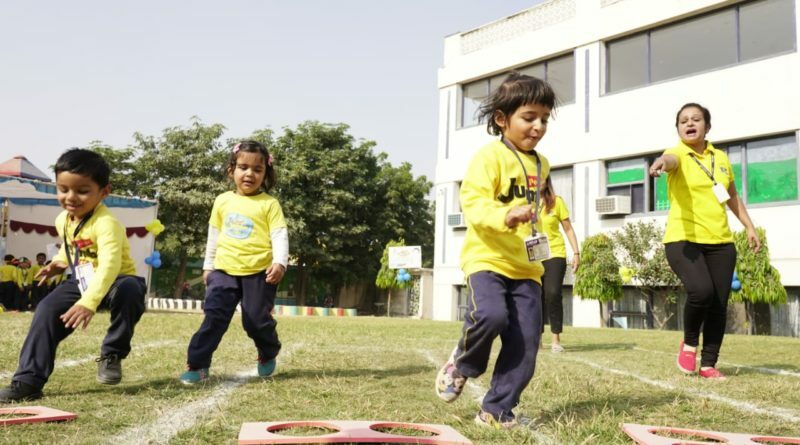 Podar Jumbo kids, Ajmer road celebrated sports day on 1.12.18 with the unique theme ” the magic of sports with numbers” where students had participated in different race related to numbers. There was excitement in the air and the atmosphere of the school took a festive turn. The Sports Day was felicitated by Principal L. V. Singh, Guest of honour-Shree Ram Avtar Rohella, Headmistress Pooja Patra and Coordinators. The sports day commenced with everyone singing the National Anthem. They released Gas Balloons to mark the Name of Podar Jumbo Kids. 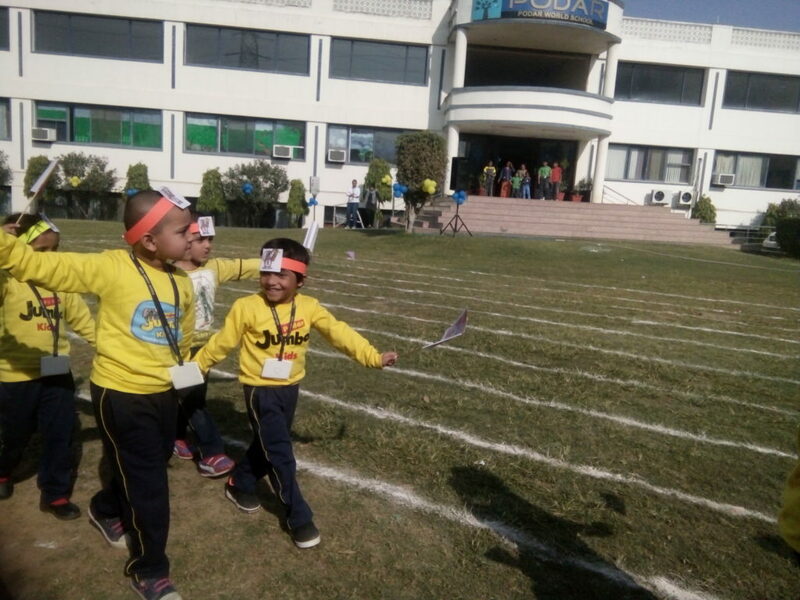 The events took a final turn when the Mothers & Fathers of these young athletes also took part in the race and Musical Chair organised especially for them with great enthusiasm, they took participation with full energy and enthusiasm and recall their childhood. It was an exciting day for the students and all present at Podar Jumbo Kids Ajmer Road. The Principal Mr.L. V. Singh also thanked parents for their support and encouragement that lent charm to the event.